Who wants a boring vacation at some ultra-modern resorts when you can experience so much more in Argentina? The land of passion, tango, wine and soccer, where culture, history and fun come together to create the perfect place to live – and to spend you holiday at. There is so much to see and experience in Argentina that it’s difficult to draw up a comprehensive list. Think of Buenos Aires, of Iguazu Falls, of the wild beauty of Patagonia, countless historic cities and towns, and landscapes like you’ve never seen before. With LAN Airlines, not only your vacation will be unforgettable, but your trip to Argentina too. 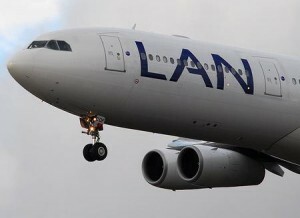 LAN Airlines has been voted the best airline in South America, and for good reason. During your flight, so will be able to sip delicious Argentine (and not only!) wine, selected by the best sommeliers in South America, fully reclining seats, if you choose the Premium Business Class, and extraordinary entertainment programs that you can watch on individual screens 44 great blockbuster movies, 95 TV programs). You can also choose from among 550 music CDs, and you can even play video games! And that’s not all that LAN has to offer. Now, for only $1,164, you can book yourself a 4 night vacation package! Experience Argentina like you’ve never seen it before! More details here. This entry was posted on Saturday, October 23rd, 2010 at 3:51 am and is filed under Vacation Package Deals. You can follow any responses to this entry through the RSS 2.0 feed. You can leave a response, or trackback from your own site.